For those of you who have been following the Road Trip for the last 6 months, I’d love for you to join me on a detour, because I have some amazing new friends I am really excited for you to meet. I recently had the opportunity to travel to the campus of Tulane University in New Orleans to attend the Unrig the System Summit. 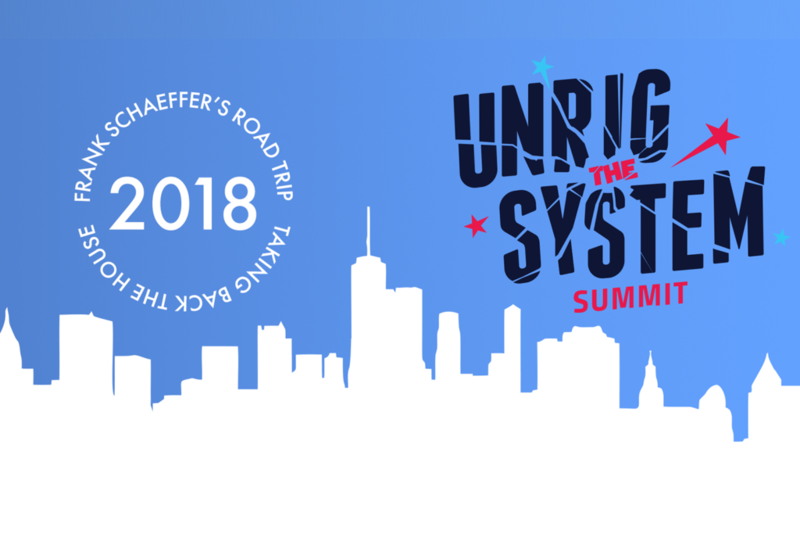 Unrig the System is a gathering hosted by Represent.Us, who are committed to bringing together the best and brightest minds from both the political left and right in America, to change our politics for the better. The people I met are citizens like you and me, who are using their voices to help lift up those most vulnerable among us. I am so inspired by these people and I think you will be too. Please watch and share with your networks to spread the word that if we listen to each other, learn from each other, and work hard together, we can reclaim our future. For those of you who have been following the Road Trip for the last 6 months, I'd love for you to join me on a detour, because I have some amazing new friends I am really excited for you to meet. I recently had the opportunity to travel to the campus of Tulane University in New Orleans to attend the Unrig the System Summit. Unrig the System is a gathering hosted by Represent.Us, who are committed to bringing together the best and brightest minds from both the political left and right in America, to change our politics for the better. The people I met are citizens like you and me, who are using their voices to help lift up those most vulnerable among us. I am so inspired by these people and I think you will be too. Please watch and share with your networks to spread the word that if we listen to each other, learn from each other, and work hard together, we can reclaim our future. Previous Post Via Down With Tyranny – Is God Ready To See The Planet Destroyed– In His Name? Next Post Billy Graham is lying in state. Why? We are not Iran. We are not a theocracy. Which errr …. after reading thru several of his comments and replies … kind of begs the question … what the heck is Franklin Graham smoking these days ? Here’s the cold hard reality when it comes to unrigging a system than in fact has been rigged since the dawn of civilization and written history . The only hope we have of even partially unrigging the system .. is to first get a system in place that would allow for at least a modicum of unrigging . Which pretty much makes efforts such as this focusing once again on micro/identity politics rather than the big picture and the reality surrounding it … to be nothing more than blatant , abject exercises in utter futility with zero hope of success . e.g. Focus your time and efforts where it counts Frank ! Alternatively, we could figure that whereas corporations extracted vast profits from exploiting the “billion-dollar coalfield” and generations of coal miners and other workers in West Virginia, there must be plenty of money to support teachers, and we should move to do that. A one-time 75 percent tax on the Governor’s $1.73 billion would fund a $6,500 annual raise for a decade. Indeed, the Governor owes $2 million in unpaid taxes on his coal operations in Kentucky. There’s definitely money around. Yet WV teacher salaries rank what — 48th in the nation? What section of the political class is standing with the teachers? It looks to me as if the great concern is to contain anger and at all costs prevent the spreading of this bit of backbone across the nation, and to other sectors such as energy, etc.